The original artwork of local and regional students has been installed at Three Rivers Hospital in Brewster and will continue throughout the year, thanks to a new partnership between the hospital and Methow Arts. Three Rivers Hospital staff have committed to annual funding of a collaboration in which students in four elementary schools create art through Methow Arts’ artist-in-residence program, and then hang their work as an exhibit for one year. The installation will launch in July with two collections and an open house held on August 16th at the hospital for student artists, their families and community members. This summer’s installations are created by students from Bridgeport and Brewster Elementary Schools. 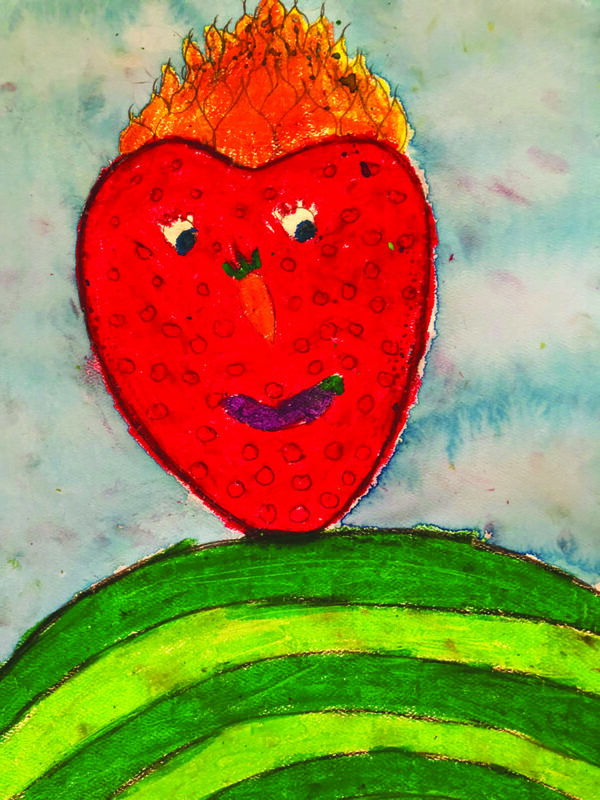 “Veggie People” portraits were inspired by the artwork of 16th century Italian painter Giuseppe Arcimboldo and created by Bridgeport 4th grade students with teaching artist Margaret Kingston. 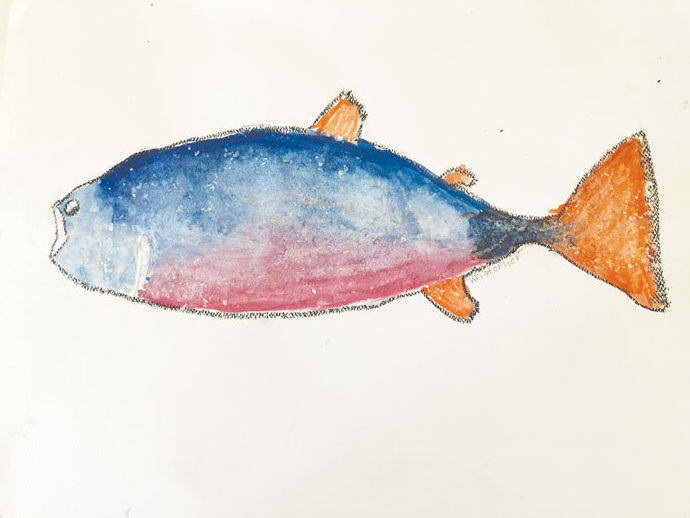 The second exhibit features Salmon paintings, created by Brewster 4th grade students with teaching artist Annie Venable as part of their “Power of River” unit. Following this initial installation, subsequent art education projects in the Methow Valley and Pateros will result in more student artwork for display. Exhibit artwork and education programs in the four schools will rotated annually, curated and maintained by Methow Arts. The public is invited to visit Three Rivers Hospital to view the artwork. An open house will be held on August 16, 5-6pm at Three Rivers Hospital in Brewster, WA.